Young and old have started to enjoy the new exhibition at the Novium Museum in the city centre, which opened on Saturday. Visitors will be able to delve into the world of big-screen historical legends as part of its colourful new exhibition – Hollywood Rome: Reel Life in the Ancient World. Gladiator, Centurion, King Arthur and Ben Hur. This is the first time the touring exhibition, curated by Pop-Up Exhibitions, has been shown. It interprets the films in the context of the history and archaeology that has inspired film-makers, presenting historical figures in a way that will connect with modern audiences and fans of historical cinema. It also includes interactive and handling elements, original cinema posters and banners and fabric hangings used in Gladiator. There will also be a selection of memorabilia from classic ‘sword and sandal’ flicks of the 1950s and 1960s. Museum manager Stephanie Thorndyke said: “We’re really thrilled to be able to bring this exhibition to the Novium. It’s a touring exhibition created by pop Up Exhibitions and this is the first stop on its national tour. 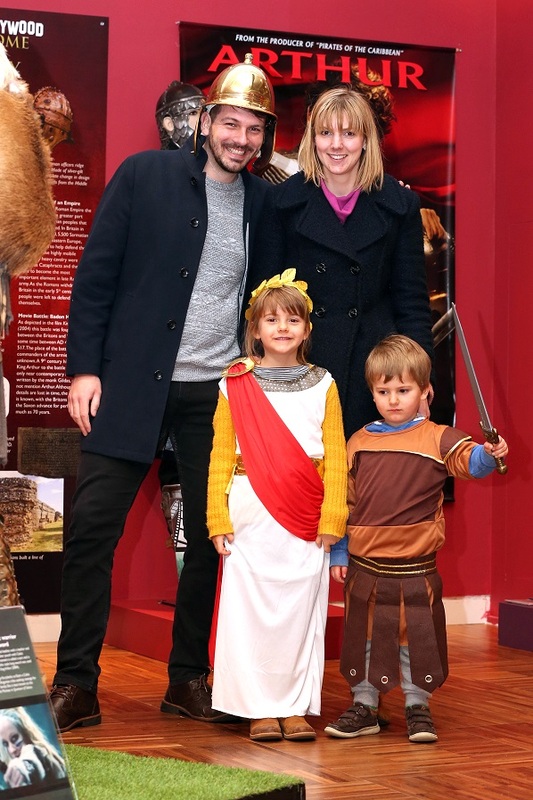 Barry Chandler, director of Pop Up Exhibitions, added: “Pop Up Exhibitions are thrilled to be showing our collection of Roman-themed film and TV costumes at The Novium Museum. Thursday, May 2, at 6.30pm: set and costume designer Ryan Dawson Laight will present a talk entitled ‘Pencils, Paint, Process & Performance’. Thursday, May 16, at 6.30pm: Keith Lodwick, curator – theatre and performance at the Victoria & Albert Museum, will discuss Hollywood costume. The exhibition runs until Sunday, September 8 and admission is free, with donations gratefully received.